Vaccines and visas. New MacBook. Train my upper body to have the strength to carry everything I need on my back. Buckle my airplane seatbelt. My long-term travel goals have been a delicate mix of common logistics and special considerations. My Hashimoto's, my mountains of medications, my Autoimmune Protocol diet, all presenting challenges that lead many to think I'm crazy. It usually sounds like some variation of this: "You're quitting your job and leaving your employer-funded health insurance? What about your mortgage? How will you travel with all those meds and chronic fatigue? Is this like a gap year? You're 34, Gail, not 21..." and so on. My response is simple and confusing to my well-intentioned friends: "I have to. When you know you have to travel, you know." But back to the seatbelt. 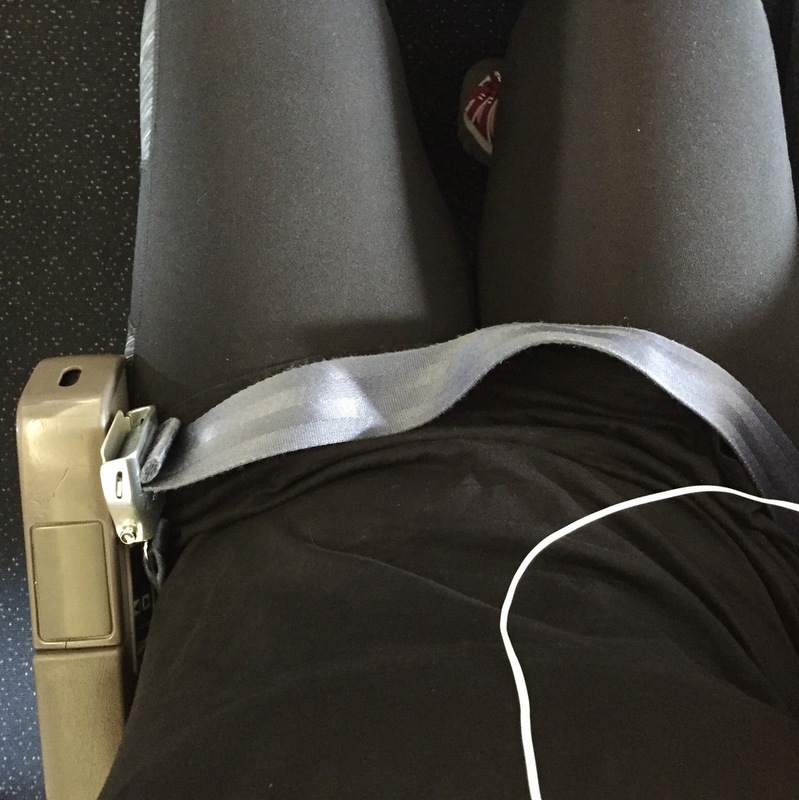 85 lbs ago I wasn't able to buckle my seatbelt on airplanes. Too embarrassed, proud, and stubborn to ask for an extender, I would cross my arms in my lap, sometimes cover the belt clasp with a magazine, and always pray for a distracted flight attendant. Today was not the first time I buckled the seatbelt (that was on a flight in January and I cried), but today felt different. Yes, there was far more extra belt today than in January, but that's not it. It felt different because in January I was still dreaming of long term travel. Today my gmail is full of tickets and Airbnb reservations and travel writing assignments and emails with future ecourse collaborators. Your life can change dramatically overnight or it can inch toward your dreams day by day over the course of many years. Either way, keep going. Get clear on how you want to feel and then unapologetically get out there and feel that way every day. Life's too short for anything less. sign up to get adventures delivered straight to your inbox!